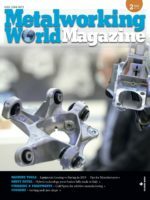 The users of orbital welding equipment know the range of closed welding heads from Polysoude type MW for high productivity applications without filler wire, combining a compact and ergonomic design with high duty cycle. In order to respond to market needs of the food and pharmaceutical industry, chemical production lines and many other applications where ultra-compact welding heads are required, Polysoude has developed the MW 34 with reduced size and new technological improvements. The MW 34 comes in two versions. Version 2T is the best known and most widely used. It has two sets of inserts. Each set is mounted in the clamps, assuring that the two parts to be assembled are held on both sides of the weld joint. The 1T version allows clamping with a single set of inserts, but the gas shielding around the weld joint is provided by protection flanges. This version is useful for places where restricted space may hinder welding operations. Its range of use from 6 mm to 34 mm makes the tool excellently suited not only to the pharmaceutical, food and traditional chemical industries, but also to aeronautics, biochemistry and micro-electronics. These welding heads have been specifically designed in order to meet the requirements of the high purity markets. The MW 34 bridges the gap between the UHP series, mainly designed for welding of micro-fittings, and the MW series, which is mainly for the agro-food, pharmaceutical and chemical industries, among others. The MW 34 offers the size advantage of a UHP 1500 head and the productivity of an MW welding head. It also features the same titanium clamp inserts as the UHP 1500, which have a lifetime guarantee. These clamp inserts adapt to tube dimension tolerance variations while ensuring non-contamination. The standards and regulations governing the food and beverage sector are subjecting manufacturers to ever more exacting quality demands. For this reason, Polysoude has devoted several years to developing orbital welding solutions using the TIG process. Moreover, this process allows us to fully comply with EHEDG recommendations and U.S. Food and Drug Administration (FDA) standards, and follow their advice. This process is stable and reliable, with or without a filler wire, and can be used on all types of material. It works with a wide variety of welding heads and Polysoude welding power sources, and covers all pipe sectors. It ensures the quality, consistency, and repeatability that manufacturers demand. 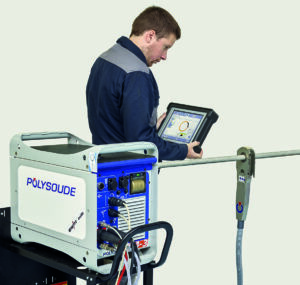 For welding applications in a clean room, Polysoude can complete the installation with its P4-3 power source and its optional remote touchscreen. The operator can therefore select the welding mode, then program and monitor the welds without leaving the room. This considerably limits the risk of contamination. These products are just a small part of Polysoude’s standard orbital equipment. The complete range will be presented at Brau Beviale 2018 trade show in Nuremberg (Hall 6, Booth 100).